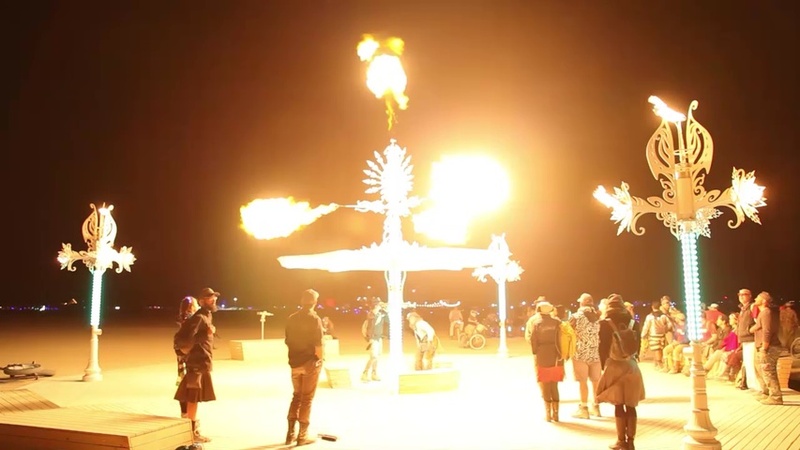 Paul Belger of Flux Foundation, an art collective based out of San Fransisco that builds large scale public art, invited me to be a part of an interesting project for Burning Man 2015. 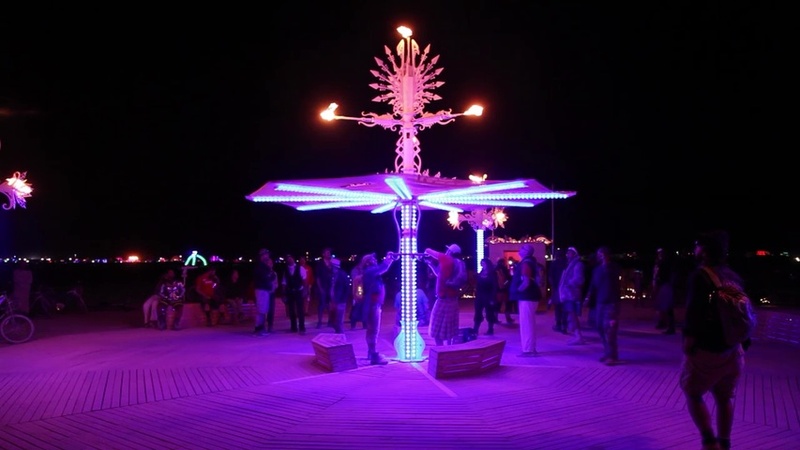 Flux was building an interactive art piece inspired by Coney Island’s historic Dreamland amusement park that tragically burned down in a colossal fire in 1911. The Flux team wanted me to create music/sound for the experience. The project had many aspects which I enjoyed: sound design, location recording, incorporating found sounds, and historical research, so I gladly accepted the offer. 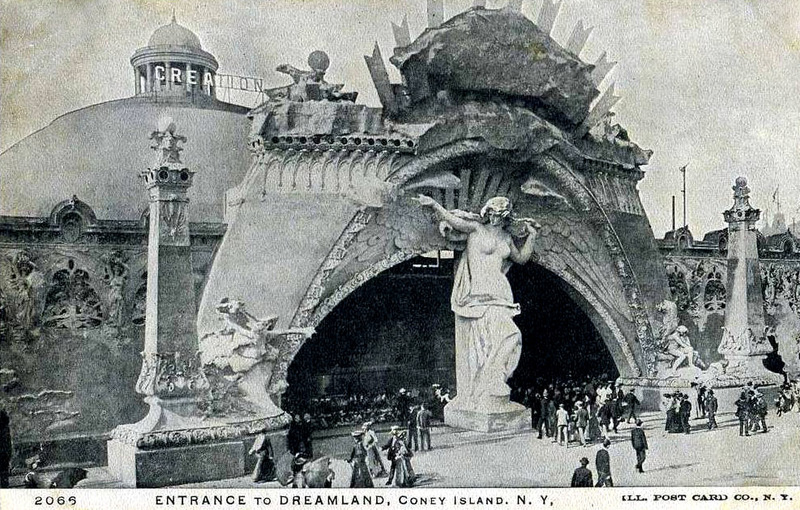 Dreamland, along with Steeplechase Park and Luna Park, was one of the original iconic theme parks of Coney Island from the beginning of the 20th century. 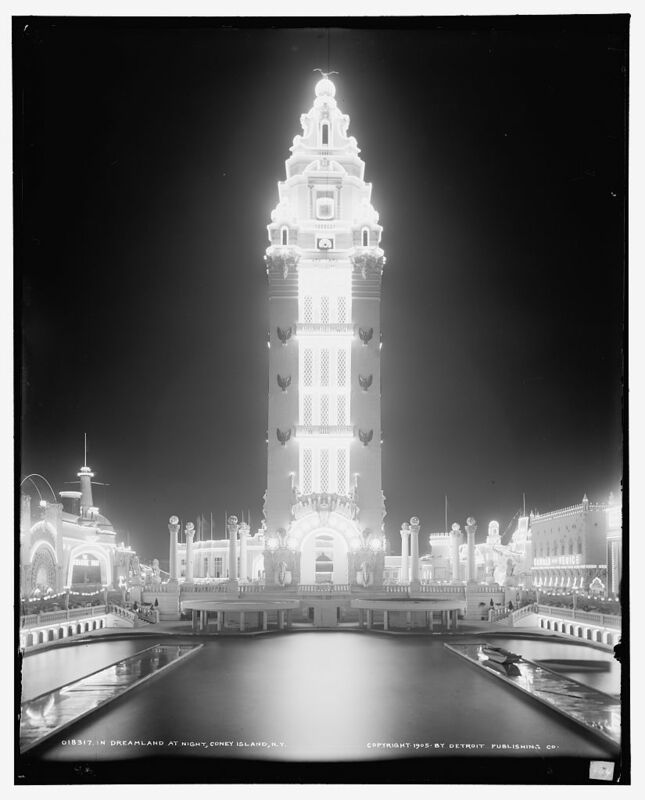 It was built in 1904 and was designed to be bigger and grander than neighboring Luna Park. 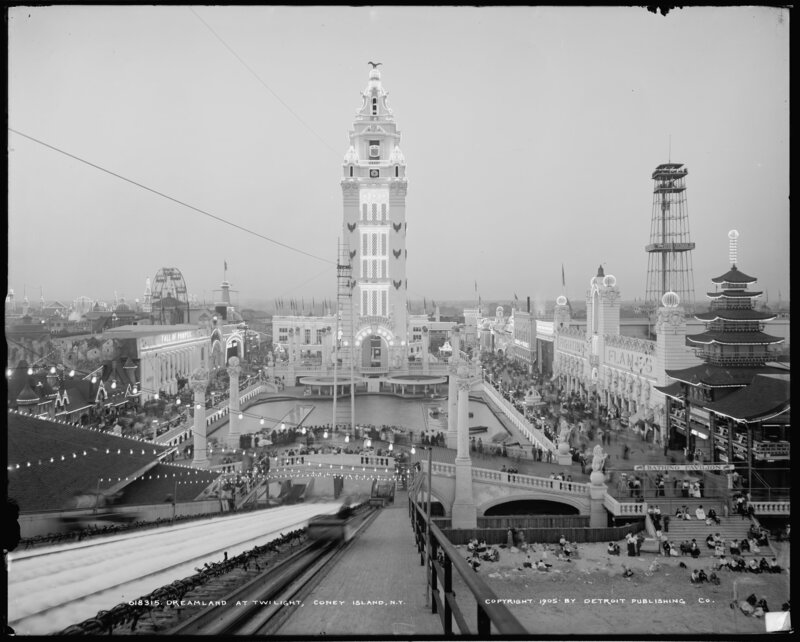 It had a tall central tower, a railway that travelled thru a Swiss alpine landscape, gandolas on a Venetian canal, lion tamers, side shows and thrill rides. In the beginning of the 1911 season while preparation work was being done late at night, there was an electrical malfunction. In the ensuing darkness, a worker who was calking a leak spilled a bucket of hot pitch which started a fire. 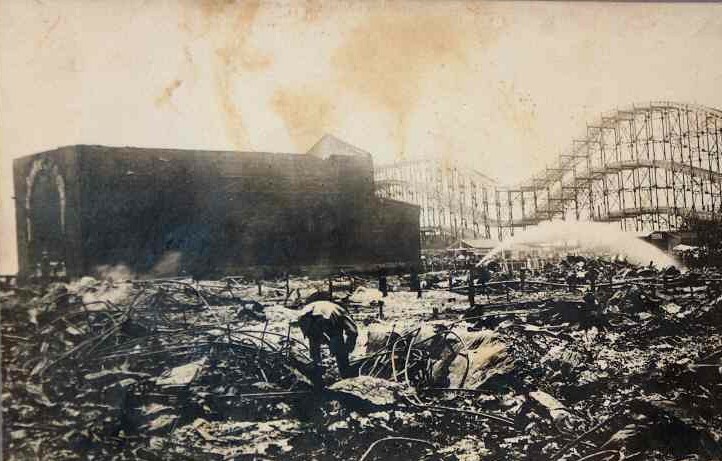 All of the buildings were made of highly flammable material and the fire spread quickly thru the park. Unfortunately the near by high pressure water pumping station malfunctioned and by morning the park was totally destroyed. 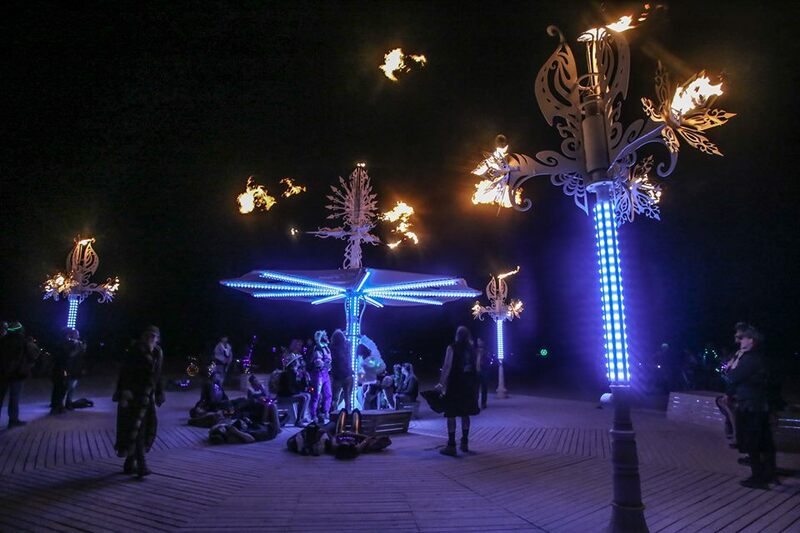 The theme of Flux’s Dreamland is wonder, carnivals, childhood rides, and memories of the past. 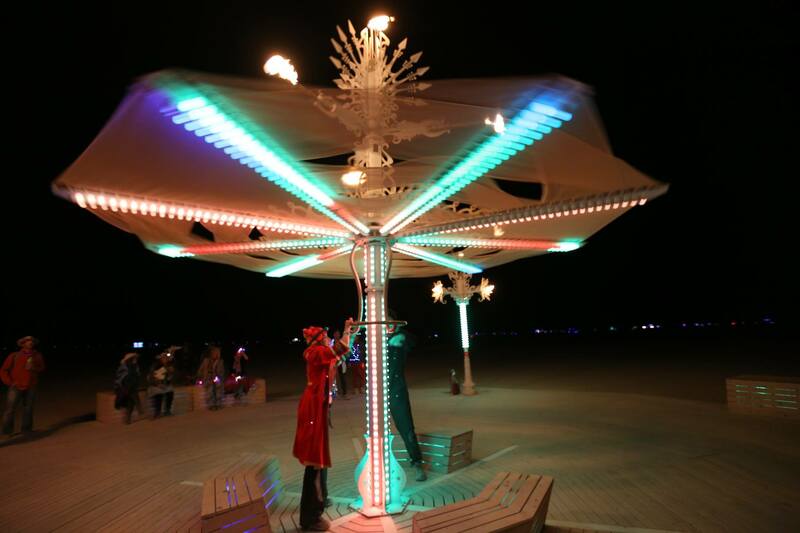 The installation consists of a central spire reminiscent of a spinning carnival ride along with other surrounding sculptures which have lighting, flame, and sound effects. 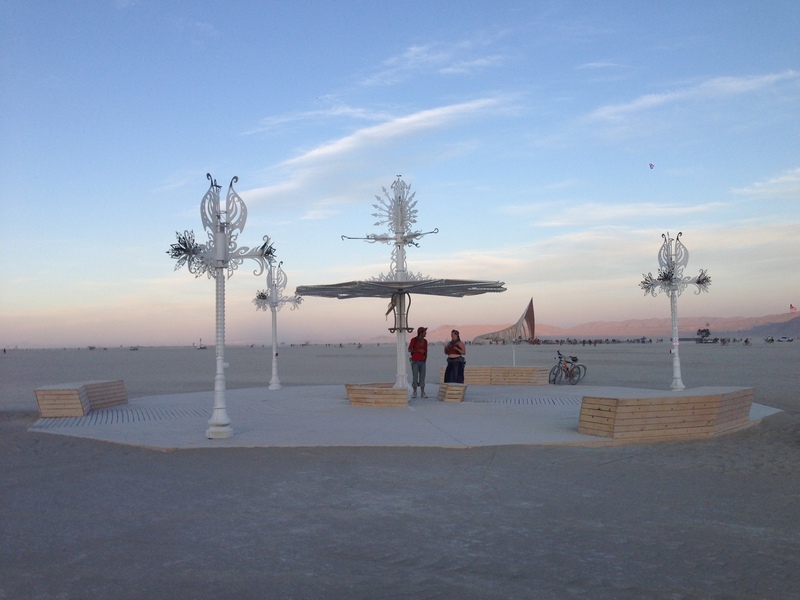 These effects are controlled by the spinning of the central spire which onlookers are encouraged to do. On reflecting on what kind music/sound I was going to produce I knew that traditional “music” wouldn’t be appropriate. The pacing of regular music wouldn’t have worked because the sound had to go on for hours and hours. I also wanted the sound not to be intrusive to the experience and be more of a background element. I decided an ambient soundscape that slowly revealed different evocative sounds from carnivals, the past etc., was the way to go…. 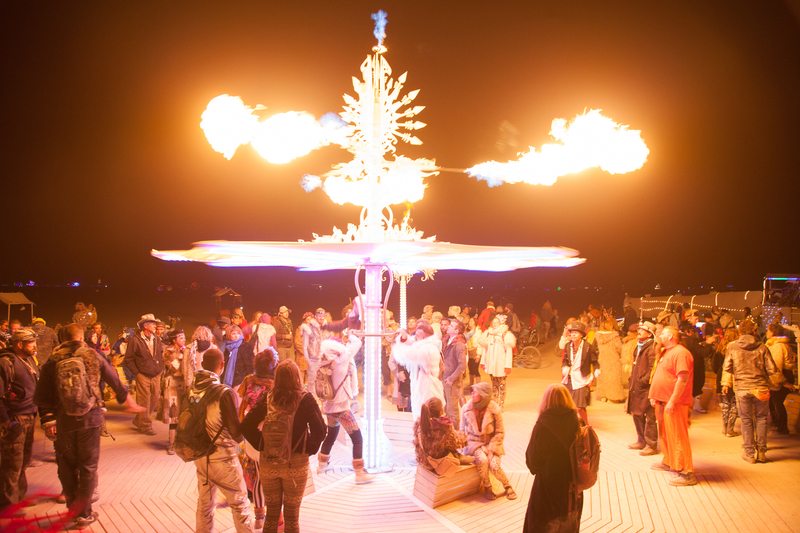 I veered away from the more obvious childlike, dreamy carnival sounds and went toward something more ominous and darker, possibly foreshadowing the fire. The team at Flux agreed that it was a good creative direction. I produced five different pieces ranging from 30 to 60 minutes each with low pulsing drones, static, and vinyl crackle, along with recordings of carrousels, carnival music, barkers, rides and crowds that I captured on location at Coney Island (The historic Cyclone roller coaster included!). It was rewarding to incorporate authentic sounds from the actual location the sculpture was inspired by. It was a great project all around and I was grateful to be a part of it, thank you Paul! 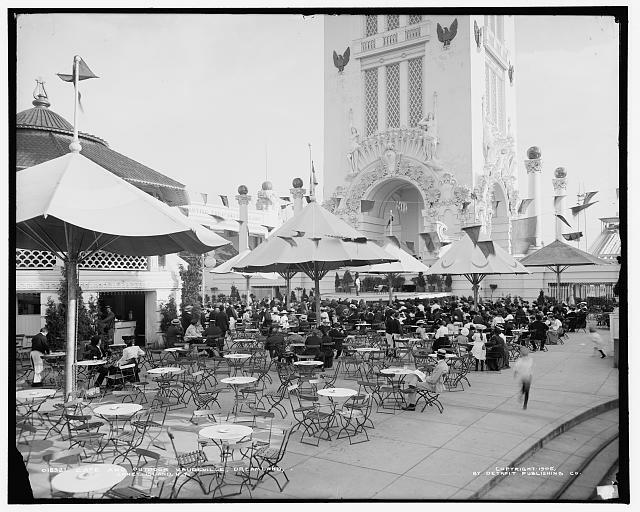 On a side note, the historic Coney Island B&B carousel, built there in 1906, has been recently refurbished and has a beautiful German-made Gebruder Bruder organ. Turned out it wasn’t working the day I went there, which I only realized after I paid for the ride, sat on a carriage, and turned on my recorder. The carousel music I was recording was coming from a CD playing thru speakers and not the organ I was looking at! I was determined to get a real carousel organ “on tape” so I went to Brooklyn Bridge Park which houses Jane’s Carousel, a 1922 carousel made built by the Philadelphia Toboggan Company and originally located in Youngstown Ohio. 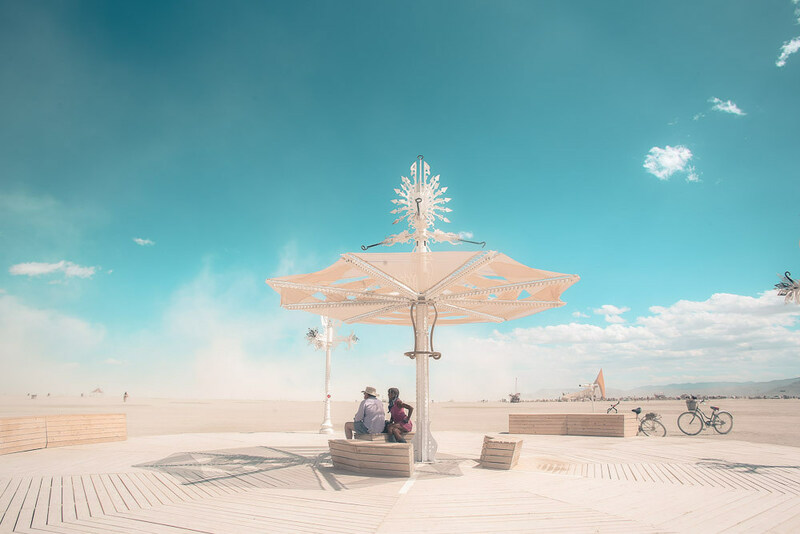 I got some great recordings of that organ, from on and off that carousel, which ended up in my Dreamland pieces at Burning Man 2015.